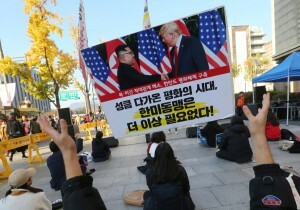 US officials told Seoul that it was North Korea that canceled nuclear talks this week between US Secretary of State Mike Pompeo and a senior North Korean official, South Korea’s foreign minister said Thursday. But North Korea has since insisted that US-led sanctions against it should be lifted before there will be any progress in nuclear negotiations. This has fueled doubts about whether Kim will ever deal away a nuclear programme he may see as his strongest guarantee of survival. Washington says the sanctions will remain until North Korea takes concrete steps toward irreversibly and verifiably relinquishing its nuclear weapons.